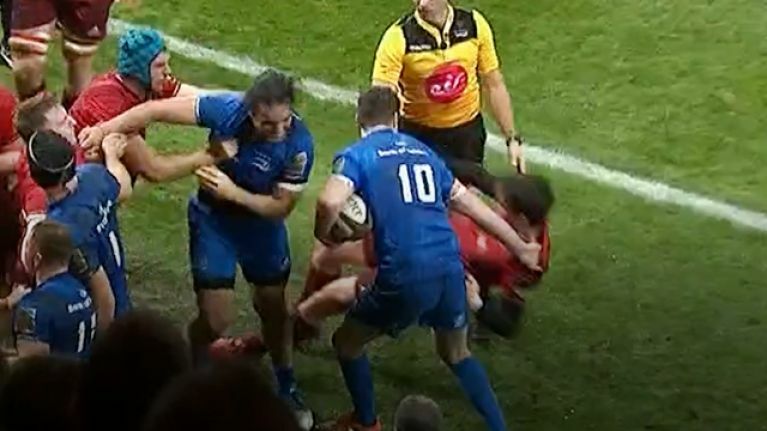 Jean Kleyn was causing absolute ructions as the Leinster and Munster tear strips off each other. Pretty much everyone else joined in! Who said this rivalry had lost its bite? Munster and Leinster used to hate each other. They used to despise each other. All that was a thing of the past, or so we were told. The success of the Ireland squad, and the sense of togetherness fostered by Joe Schmidt, had put an end to the true bite in this interprovincial clash. Perhaps, too, Leinster winning seven of the last eight encounters had taken some air from the Munster tyres. Not point claiming to have rivals if the rivals beat you more often that not. We got a sense that Munster versus Leinster at Thomond Park, this evening, when both head coaches named strong teams. We only needed 90 seconds to discover this one was going to be rough and ready. Munster flanker Fineen Wycherley burst out of the line to clatter Johnny Sexton and there were some afters, with Sexton slapping Wycherley with his own scrum-cap.  Cian Healy and Tadhg Furlong were sent to the sin-bin during the first half, James Lowe was given a straight red card and there were four separate melees across, and off the pitch. One such schemozzle saw James Lowe get into it with Conor Murray, Andrew Conway and Jean Kleyn. When former Leinster outhalf Joey Carbery tried to get involved, Johnny Sexton was on hand to yank him to the deck and give him an earful. Kleyn then shoved Lowe to the ground and referee Frank Murphy and his officials had to jump in again. Just after the half-hour mark, Leinster were down to 13 men and trying to survive until the break. Thomond Park was alive and the rivalry was back with several bangs.